Click on the "Files" tab (in the manage toolbar). Click on the 'Privacy' menu next to the appropriate folder. 5. 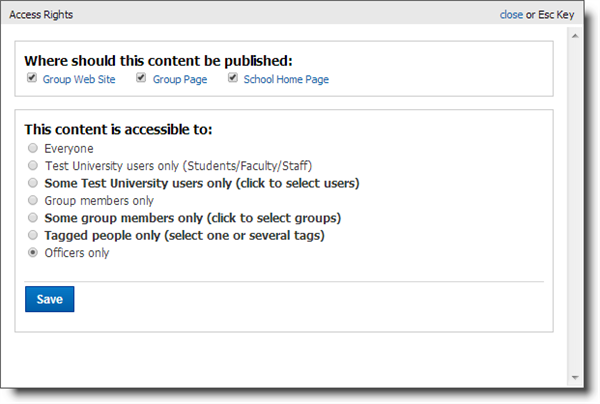 Select your preference in the "Access Rights" pop-up (see How to use the "Access Rights" pop-up).